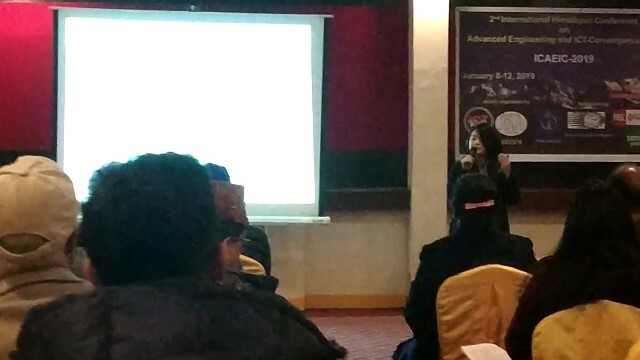 The undergraduate students of Department of Computer Science and Engineering (DoCSE) presented two research papers in International Himalayan Conference on Advanced Engineering and ICT-Convergence 2019 (ICAEIC-2019) held on January 8 in Kathmandu, Nepal. The conference was organized by ICT-Advanced Engineering Society. The first paper was entitled “Research and Application of Usability Principles and Fitts’ Law on Social Networking Android Chat Application” and the authors were Rajshree Rai, Anup Sedhain, Krishu Kumar Thapa, Ashutosh Chapagain and Sushil Shrestha. 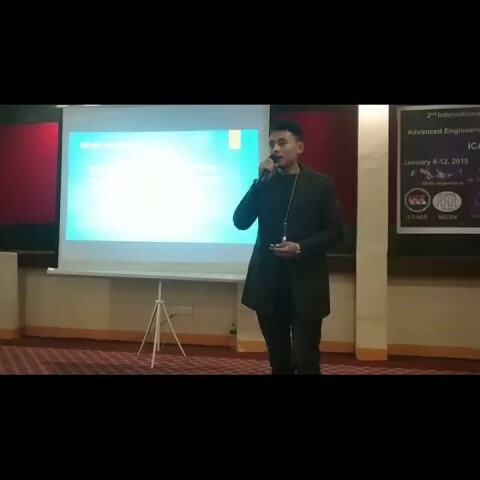 The second paper was entitled “Salient Sentence Extraction of Nepali Online Health News Texts” and the authors were Robin Ranabhatt, Bidhan Rai, Shoaib Manandhar, Amit Upreti and Sushil Shrestha. Both the research works were conducted under the supervision of Mr. Sushil Shrestha (Assistant Professor at DoCSE and Lead Researcher in Digital Learning Research Lab).